Below you can view all the homes for sale in the Deer Forest subdivision located in Conyers Georgia. 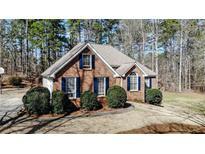 Listings in Deer Forest are updated daily from data we receive from the Atlanta multiple listing service. To learn more about any of these homes or to receive custom notifications when a new property is listed for sale in Deer Forest, give us a call at 404-998-4166. Don'T Miss Out On This Well Kept Home! MLS#6525433. Village Realty Midtown. Unfinished Part Of Basement Serves As A Recreation, Work, And Storage Area.Upstairs Bonus Room Has Easy Access To Attic Storage And Can Be Used As A Fifth Bedroom. MLS#6519668. Bhgre Metro Brokers.